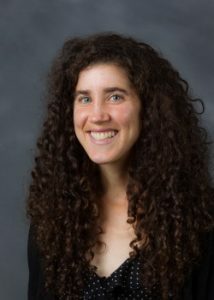 The English Department is pleased to announce that Joanna Ruocco will spend winter 2018 at Yaddo, one of the nation’s oldest and most established artist colonies. Ruocco was awarded a Yaddo residency fellowship to work on a new novel-in-progress. According to the Yaddo website, “Collectively, Yaddo artists have won 74 Pulitzer Prizes, 29 MacArthur Fellowships, 68 National Book Awards, and a Nobel Prize (Saul Bellow, who won the Nobel for Literature in 1976). 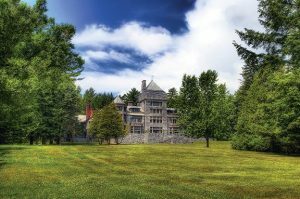 Notable Yaddo artists through the turn of the millennium include James Baldwin, Leonard Bernstein, Truman Capote, Aaron Copland, Philip Guston, Patricia Highsmith, Langston Hughes, Ted Hughes, Jacob Lawrence, Sylvia Plath, Martin Puryear, Katherine Anne Porter, Amy Sillman, Clyfford Still, and David Foster Wallace. More recent guests include Terry Adkins, Laurie Anderson, Jeffrey Eugenides, Sheri Fink, and Matthew Weiner.” We applaud the inclusion of Ruocco in such distinguished company. Ruocco will also be traveling to read at the University of British Columbia for the official launch of her most recent book, The Week, and will travel as well to the University of Maine—Orono and Eastern Michigan University to read as part of their visiting writer series.